The Large Moon Bounce inflatable measures 20×15 and holds 10 people up to 1,000 pounds. If you are planning on having a lot of people over for your birthday party or block party the Large Moon Bounce is the way to go. Please click here for pricing and availability or to book this unit online. 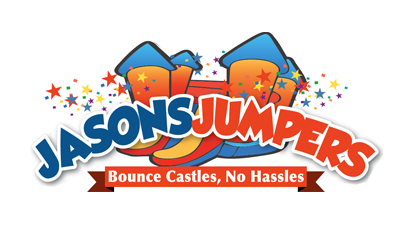 The Large Moon Bounce is licensed and registered in Pennsylvania and is exactly what it sounds like… the largest moon bounce we have to offer. It comes in brilliant colors of red, yellow and blue. With 360 degrees of mesh windows you can have a clear view of what is happening no matter where you are standing. What a great way to combine fun along with a healthy, aerobic activity. And, all of our inflatables are manufactured with fire-resistant vinyl making them safer and more durable.